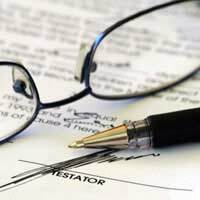 After a divorce, or a separation that’s definitely leading to a divorce, it’s vital for a woman (and also for a man) to make sure all their appropriate documentation is altered to reflect the new status – and in the case of a woman who’s taken her husband’s name and is reverting to her maiden name, it’s doubly important after separation. These days, when so much is online and identity theft is rife, your documentation is who you are, and after a separation you become someone with a different status, whether a man alone, or a woman with a child – you’re no longer a family. It’s important to inform companies and authorities of your new legal status (if legally separated or divorced) as a good way to protect your credit rating, since it prevents your former spouse from possibly signing joint credit agreements (i.e. as a family) that could leave you in debt following a split. While that would never happen in most cases, it’s better to safeguard yourself against a vengeful former partner rankled by the separation, rather than have your credit rating ruined as you try to build a new life. Although it won’t alter your responsibility on any joint credit agreements that existed prior to the separation or divorce, it can save you a lot of trouble in the future. It also means you can establish a new credit profile if you’re a woman who’s changing her name. That’s important in the long term for you, since credit and your credit report is vital for almost every financial transaction these days, be it obtaining a mortgage or simply getting a credit card. But having the documentation changed to reflect the new marital status is equally important for men. If you’re a woman who’s taken her husband’s name, you might well want to revert to your maiden name after an irrevocable split in the family. In fact, you don’t need to wait for a divorce to do it. You’re free to change your name at any time by Deed Poll (unless you’re doing it for illegal reasons), so the divorce laws have no say in the matter (in fact, divorce laws don’t address the matter in most instances) – although you can’t change the surname of your child without the husband’s permission, if he has the husband’s last name. When the child is of age, though, he could change his name by Deed Poll, as, indeed, anyone can at any time. You can also use your marriage certificate and absolute decree to change your name, but the most common and easiest way is by Deed Poll, and it’s accepted by all authorities. It does bring responsibility though, since you need to inform people of the post-separation name change – everyone from the Passport Office to the DVLA as well as banks and credit card companies, and many will need to see the original deed poll document or a legal copy of it (a photocopy of the certificate will satisfy the others). The Deed Poll Service actually has a pack with advice on making sure everyone’s informed. The sooner you accomplish a change in documentation, whether it’s in name or relationship status, the safer you will be.